Having a roommate can help bring down the cost of the room. Avatarmeet.com's roll call, learnnavi.org, tree-of-souls.com and AvatarForums.com and the avatarmeet facebook group are all possible options to network for a roommate. Make sure you know who you are rooming with before booking. Time running out to book! With less than a month to go before the meet up, a massive "irayo nìtxan" to everyone who has booked their rooms at the hotel for AvatarMeet 2016 and updated their roll-call information. For anyone still pondering whether to join the clan or have just not gotten around to booking a room, time is running out. 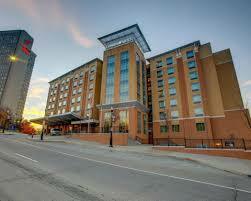 May 31st is the last day to book a room at the hotel to get the group booking rate. To find out how to book your room visit the Attendee Information page on AvatarMeet.com. In the past we have opened the design for the AvatarMeet T-Shirt out to the clan to put forward designs followed by a clan vote; however, due to the tight timing as a result of the late change in venue for the meet up, we have blown the dust off of a T-shirt design that came a close second a few years back. 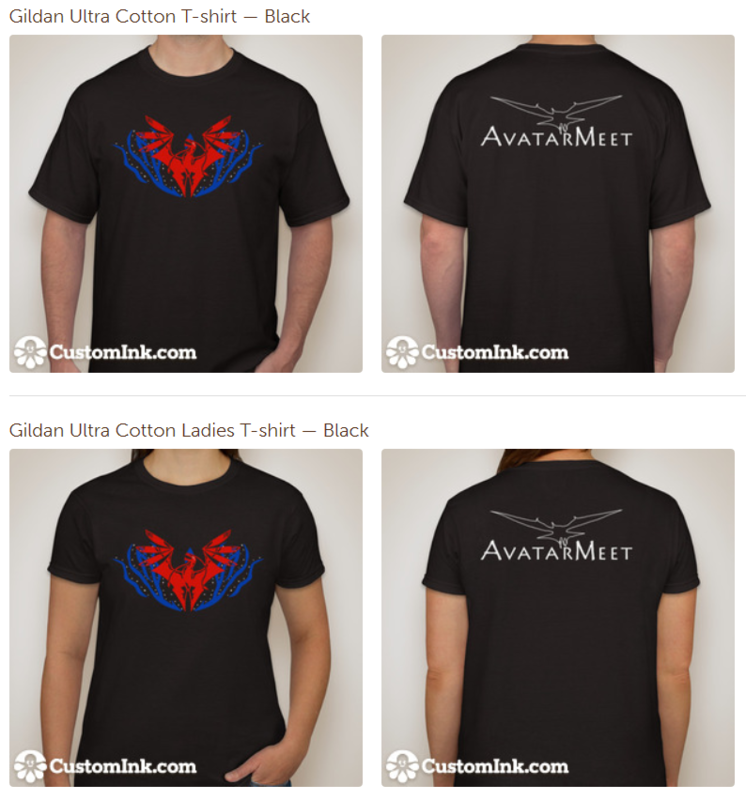 Thanks to Sarah, we have an AvatarMeet T-shirt for all occasions! The illustrations below show you the front and back details. I think you will agree that the design is quite fitting for this year's meet up. Not only does it fit the theme of Toruk - The First Flight, it also resembles a phoenix rising from the ashes of the cancelled North Carolina meet up. To order your T-shirts simply follow the link below which will take you to the supplier's website where you can select your size and quantity - I mean, you might want more than one! Please ensure your order is placed by June 5th 2016 to ensure they are printed in time for delivery to the meet up.